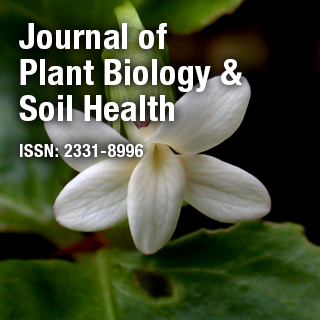 Journal of Plant Biology & Soil Health [ISSN: 2331-8996] is an online peer-reviewed Open Access journal that provides the recent advances in research and latest transitions in technology integrating all inter disciplinary subjects of plant sciences like botany, agronomy, horticulture, forestry, Plant breeding, seed technology, cell biology, tissue culture, plant molecular genetics, biotechnology, pathology, ecology, plant evolution, biometry, and related fields as well as Soil microbiology, Physico chemical characteristics of soil in relation to plant growth and survival. Dr. Jiansheng Liang serves as a Professor of Biology and the Director of Academic Office at South University of Science and Technology of China (SUSTC). His research interests are in physiological and molecular mechanisms of plant responses to environmental stresses , Intracellular Signaling in Plant cells and Phytoremediation.